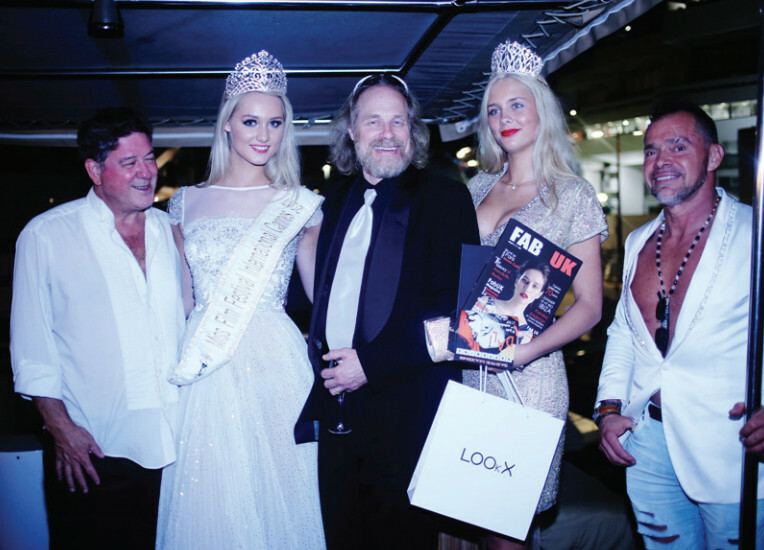 ‘Miss Film Festival International’ is an annual international beauty pageant that is run by the international management of Carolien ter Linden, CEO of Passarella Moda and their international partners. This pageant allows representatives from all cities that hold film or art festivals to participate. At the moment, the current representatives are from Dubai, Cairo, Abu Dhabi, Istanbul, India, Hong Kong, Moscow, New York, Los Angeles, Montreal, Toronto, London, Amsterdam, Venice and Cannes. To find the new ‘Miss Film Festival International 2018’, the MFFI ™ Association has been searching throughout all film festivals worldwide. The selection of Miss Film Festival Cannes 2017 was at the last 23 th of May 2017 during the 70th anniversary of Cannes Film Festival. This took place at the beautiful yacht ‘Clara One’ at the Old Port in Cannes. The Hightower Family Foundation with their “Every Kid in a Park” and “One Million African American Youth in a Park” was one of the main partners of Miss Film Festival Cannes 2017. Last year the National Parks celebrated their 100th Anniversary and during that time President Obama announced the launch of the “Every Kid in a Park” initiative, a collaborative effort with the National Park Foundation to engage millions of young Americans with natural wonders and treasures. As part of the campaign, every fourth grader in the nation is eligible to receive an “Every Kid in a Park” pass, good for free admission to all of America’s federal lands and waters -for them and their families- for a full year. The nationwide search for a contestant to join this competition was narrowed down to 10 deserving women. It was up to the event sponsors to select and vote for this year’s winner. The following jury members were: Terry Mc Innes; CEO of Cerebral Films and partner Motion Studios, Steve Hightower; Founder of The Hightower Family Foundation, Jordi Casal; French Agent FAB UK magazine, Roger Costano; Founder RCTD Diamonds and Hedwich Vigelandzoon; Owner of Grand Salon. The jury was very impressed with the finalists and the entire event. Well known singers Marian Aas Hansen and Zelimir Kulisic from Made in America Show came specially over from Norway to perform during this beauty pageant. Miss Imke Schilten from Holland (18 years) was selected as the new Miss Film Festival Cannes 2017 in a ceremony preceded by the CEO of the FFI Carolien ter Linden and the event business partners and sponsors. Last year Miss Imke won the title Miss Film Festival Venice 2016 during Venice Film Festival. She states, “I am extremely happy again! I am so honored to have been selected to be the winner of Miss Film Festival Cannes 2017, it is a dream come true!”. One of the winning prices for Imke is a role in one of the movies, produced by Terry Mc Innes, CEO of Cerebral Films. Imke is also Ambassadrice of the Hightower Family Foundation. The beautiful handmade crowns were especially delivered by helicopter by Roger Costano, CEO of RCTD Diamonds. Sash by Miss-sjerpen.nl. Dresses and perfume from fashion designer Addy van den Krommenacker. Limited edition 24KT gold hair style tong by Hedwich Vigelandzoon, Owner Grand Salon. Fitness outfits by Ralitsa Dzhambazova, CEO of Brutality London, Luxury make up by LOOkX. International publications at CNN point, Fashion Star News, RTL, Deamina Magazine, Lourens Magazine, FAB UK magazine, Harper’s Bazaar and Donna Collezioni.